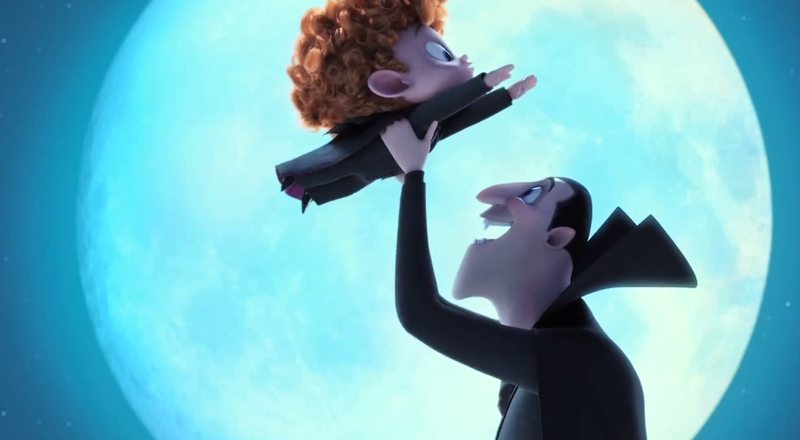 Teaser Trailer For Hotel Transylvania 2 Flies In! Despite having a good chunk of the Grown-Ups crew amongst it's voice cast, the first Hotel Transylvania was a whole lot of fun, bringing together all of the classic monsters, from Dracula to Frankenstein, with the Invisble Man and the Wolf Man for good measure, all under the watchful eye of director Genndy Tartakovsky, the animation genius responsible for Dexter's Laboratory and Samurai Jack. Now Drac (Adam Sandler) and the rest of the gang are back for a sequel, which brings back most of the original cast, as well as welcoming the legendary Mel Brooks as Drac's dad, Vlad. The first teaser for the movie definitely suggest that the movie will be very family driven this time round, introducing Drac's grandson, and also serves as nice taster for the movie, basically delivering one full scene with plenty of laughs to be had. The Movie Bit: Teaser Trailer For Hotel Transylvania 2 Flies In!